From Financial Literacy to creating positive public dialogue about gun violence, Indy’s youth are not waiting around for someone to make things happen in their community- they are making things happen. 13 youth lead programs were awarded grants this month to create initiatives to address the problems they see that are affecting their peers and communities. 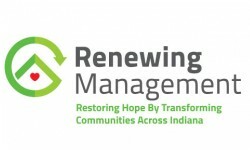 Renewing Management, Inc. and communityINNOVATE are partnering together to provide these leaders with resources to make their projects happen. The “do something” initiative started with the idea that problems are best solved by efforts of those involved. This people-centered idea believes that local participants will best design councils, classes, job development, and volunteer orgs for their peers. Not only does this bring a diverse set of ideas and efforts but, also allows valuable ownership of their future to those involved. These values of community ownership and transformation are at the heart of Renewing Management and its core values. Our dedication to restoring hope in Indiana is rooted in our business model: Taking properties built several decades ago and not knocking them down but, using the strong foundations of the community to create great places to live. We rejuvenate all our properties financially and through hard work without displacing the already great residents that call these communities home. We are proud to work with communityINNOVATE to continue these ideals in the people of this city. The leaders of these 13 programs aren’t only the leaders Indy needs to grow for tomorrow, their already the leaders of today. Educational Literacy Financial Enrichment Program: Caring for a Cause is teaming up with Key Bank and Scott United Methodist Church to provide financial literacy workshops for youth. LifeSmart Youth Advisory Council: LifeSmart Youth aims to intentionally listen to youth to help inform their programming. Summer of Service (SOS): Through Operation Pike Like and Engage Church, Pike students will affect positive change in their community this summer through service projects they themselves have dreamed up. LoveINdsign: In partnership with Studio B, participants in Fathers and Family will be paired with youth to create lasercut personal memorials and phone cases that honor those lost or killed by acts of violence. Project One Love: Summer Camp: This summer camp will empower youth by providing skills for mental and physical growth, build confidence, and boost self esteem and character. 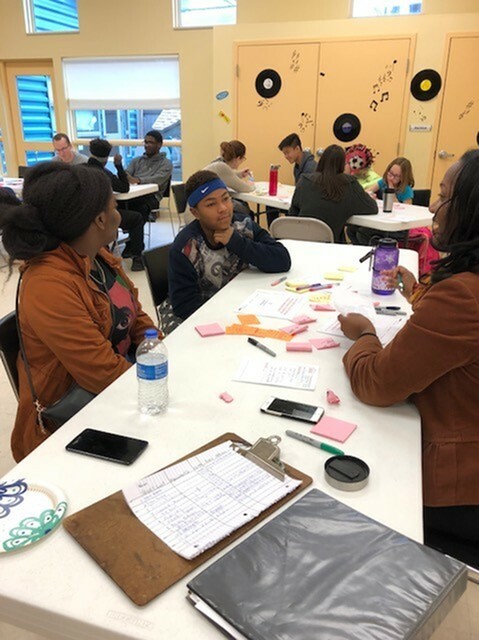 Intergenerational Dialogues: Six youth through the Felege Hiywot Center will create a youth committee for the Hillside Neighborhood Association to co-create solutions to community issues. Rally for Change: A passionate group of students is planning a Town Hall and rally focused on gun violence. This will be an opportunity for youth to speak, and also have a panel of politicians for youth to ask questions.